"Poison marks a moment in time. They’re a magnificent microcosm of an era that’s long since expired, painted-up poster boys ..."
"The hard rock subgenre derisively referred to as 'hair metal' existed well before Poison came along. But with their 1986 debut ... they gave it an extra coat of lip gloss." "Bret Michaels might claim his inspirations were Zeppelin and Skynyrd and his band had no connection to '70s glitter, but Poison still came out of nowhere like the Bay City Rollers trying to be the New York Dolls and that's what made them fun ... their quickly recorded indie label debut was the all-time epitome of kindergarten metal ..."
This debut from Poison took a while to catch on, but propelled by the top 10 single Talk Dirty To Me the album did eventually sell over three million copies in the US and peaked at number three. 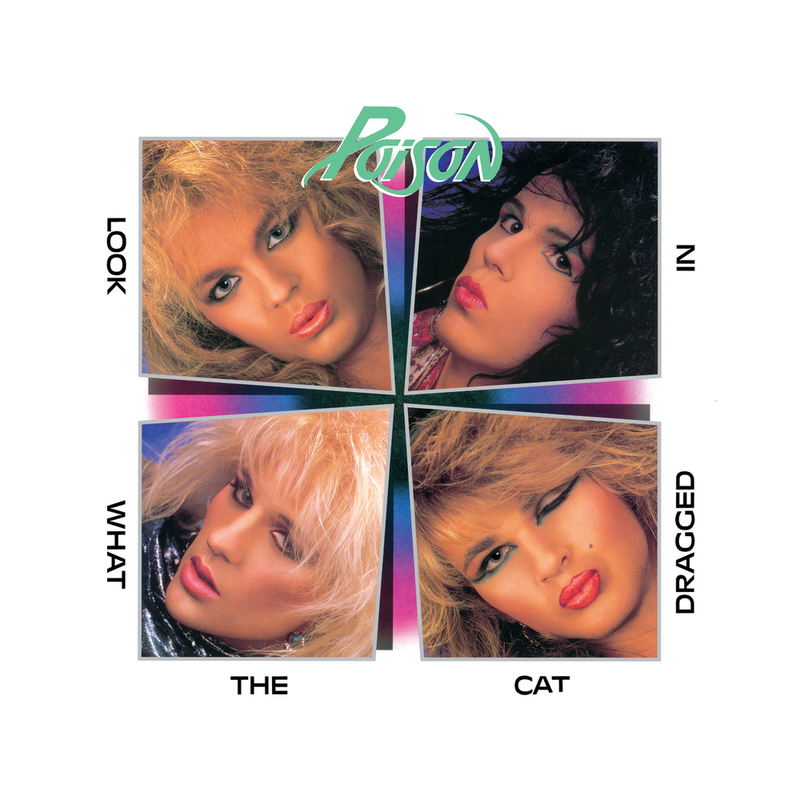 In a 2015 survey, Look What The Cat Dragged In was ranked at number two on Rolling Stone's list of the 50 greatest hair metal albums of all time, placing even higher than seminal albums by Mötley Crüe and Bon Jovi.